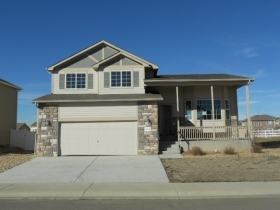 HUD homes and foreclosures can be great buys in Northern Colorado and less of a hassle than short sales. One thing about a HUD home sale is that you know where you stand and time lines are predictable. Responses to bids are usually very prompt and the paper work involved in the purchase is normally straight forward. With short sales you have no idea about time lines and can't put in dates on the contract. The contract approval process varies from bank to bank and can be really obtuse. You are dealing with the owner and the bank, and many times they are not communicating very well. Finally, banks will hold and accumulate offers for an extended period and then ask all buyers for a final and best offer. Foreclosures are manageable, but they can also have problems with response times from the bank. Smaller banks have much better service when it comes to buying a foreclosure. We like to work on HUD sales and foreclosures for our buyers and can help you find one that can be a real fit for the fixer upper in you. The property pictured above is a HUD home priced at $197,000 and is practically brand new. For more information about how HUD homes and foreclosures can be great buys please call me at 970-412-1657 or contact me here. Another good place to start is on our foreclosure page where you can search for these properties.